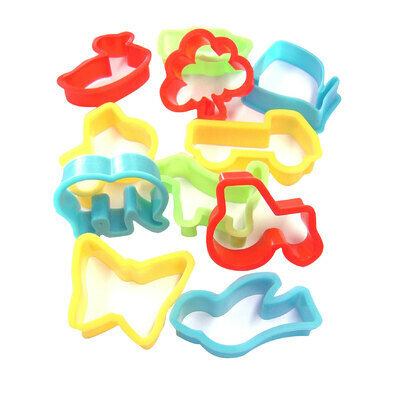 These Plastic Cookie Cutters help the youngest members of your class create a wide range of shapes in an instant. Manufactured from durable plastic, each one is vibrantly coloured to attract attention and sized appropriately for smaller hands. Simply pressed into clay or playdough, they easily slice through to leave behind a cookie-style shape with blunt edges that makes them ideal for use by children. The smooth plastic construction is easy to clean and sanitise while their compact size makes it easy to store them among your other resources until required. While you're here, consider stocking up on other crafting resources from our Air Hardening Clay and Rolling Pins through to MDF Modelling Boards or Wooden Pins. All items are available online here and for exceptional wholesale prices to work in any budget.